Traffic is the fuel to run a blog or website. Without page views a blog does not run so far. Search engines are the best visitor’s provider to a blogs or website. So SEO (Search Engine Optimization) helps to drive more traffic to your blog. The template of blog has a main roll to optimize your blog on search engines. So I will show you 6 SEO friendly and awesome templates for your blogger blog. The templates are totally free and premium look. WebDepot released on 28/June/2013 by Templateism. It is a colorful 2 Columns template. It is a SEO friendly blogger template. It has a related post widget on bottom of every blogger post with Thumbnail and small titles. 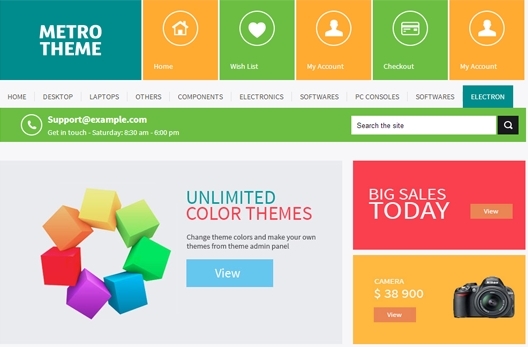 It is the first theme come with multi-color scheme sidebar titles. Other attractive features are SEO friendly, Drop Down menu bar, Designed commenting forum, Color full share button at the bottom of ever blog post, and much more. 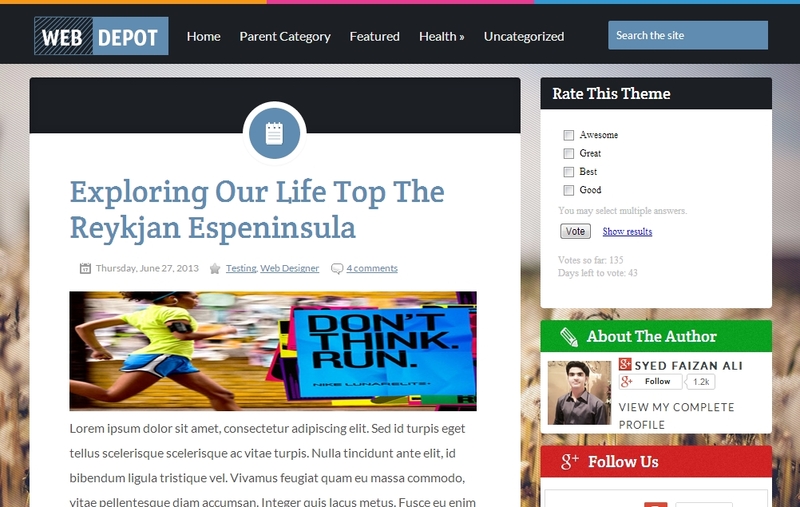 WEBMAG is a HTML5 blogger template released on 28/May/2013 by Templateism. 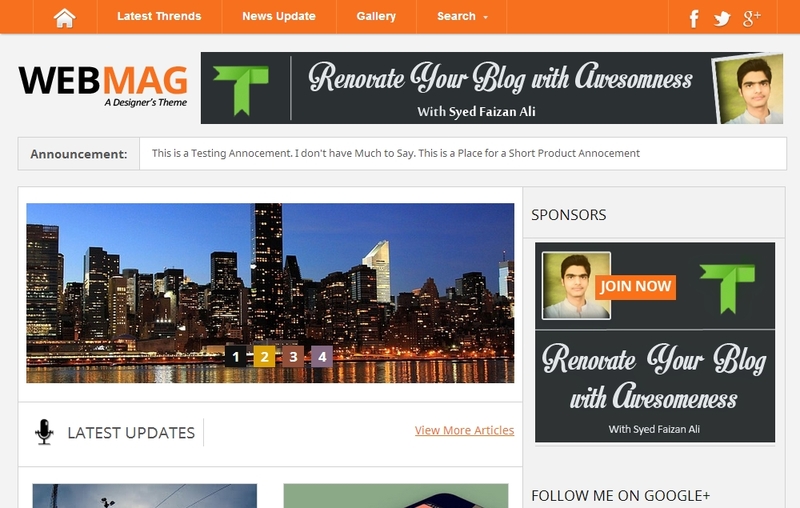 It is a magazine mode blogger template with SEO plugin. It is a 2 column blogger template with featured post slide show and 4 featured post widgets on bottom of slideshow. It has a bottom column with 3 widgets. WEBMAG template features related post widget with thumbnail enabled at the bottom of every post. It has floating navigation bar with dropdown search box. Metro UI is a SEO friendly template designed for blogger by templateism. The template looks like Windows 8 operating system. Metro UI is an ideal template for Technology, Entertainment, Music, and magazine blogs. Metro UI gives your blog a premium and professional look. It features 2 menu bars, SEO friendly, 2 Columns, Featured image space, Wordpress look, and even more. The template feature page navigation with Numbers instead of newer/older post. 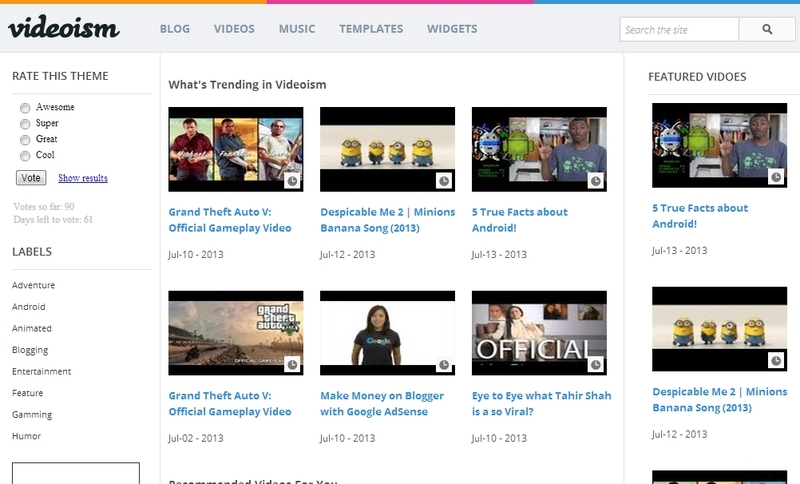 Videoism is a video hosting blogger template released on 13-July-2013. It is a really cool looking video template like YouTube. This template optimized with SEO plugin. Bloggers can easily embed videos from YouTube, Metacafe, and Dailymotion. Other feature is you don’t need to attach thumbnail images manually it automatically fetch video thumbnail pictures. The template has Left and right side bars and 3 column post area. Also it is a premium and professional looking light weight template. Other features are Home page featured post widgets; View counter, magazine, and professional looking. Twitter template is an awesome design looks like twitter. It released on 28/February/2013 by templateism. 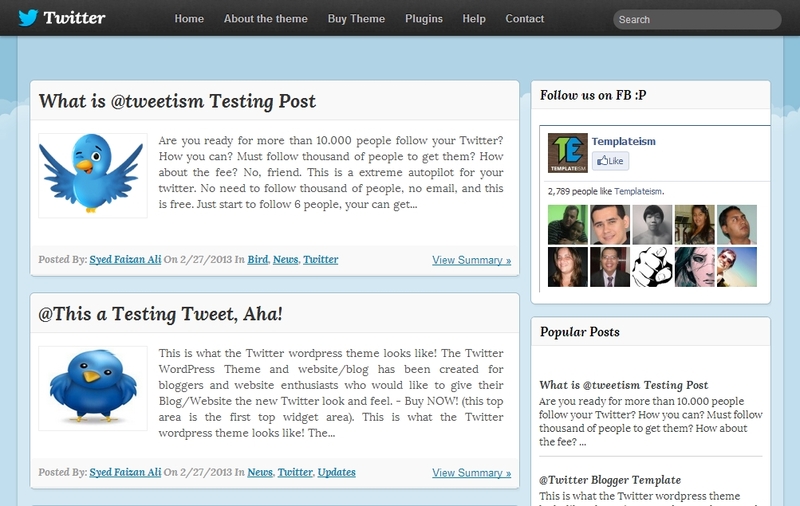 Twitter template really makes your blog more attractive and premium look. The template optimized with SEO plugin. Other features of the template are Floating navigation Bar with search box, CSS3 label widget, Page navigation with number, Magazine style, black and light blue color scheme, web 2.0, 2 columns and even more. 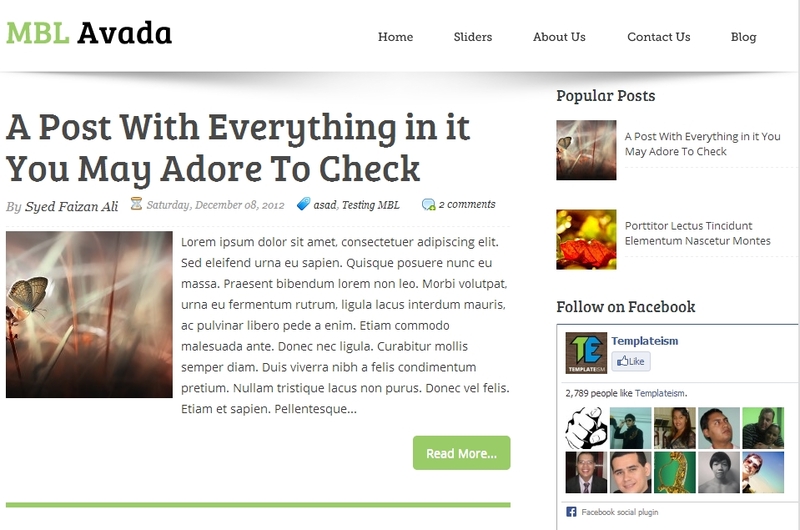 Avada is a cool and simple template by templateism. The template optimized for search engine with SEO plugin. Its header parts design like 3D with drop down navigation bar. It is a wordpress look 2 column template with auto read more script. The other main feature is Avada support on different screen resolutions. Excellent your great post.This post is important for seo.This post give more important knowledge of seo.Your post is helpful and important for freelancer.Thanks a lot for share your great post. Thank you for sharing useful information about the SEO. It is really a very good idea to make the world Eco Friendly. Every person wants the creative web design. Because, the world is creative. @Pitbul Jain Thank You Jain! Great post. Its very interesting and enjoyable. I think its must be helpful for every new freelancer. Thanks for sharing your nice post.